Even though flight cost has reduced to be more affordable, overland by bus is still a preferable option among the tourists especially backpackers. It is because of the unbeatable price bus comparing flight. From Ho Chi Minh City to Siem Reap is only connected by Cambodia Air which is a full service airlines. Unfortunately, there is no train operated between the country until now. Train must be a good transportation to fell local delight. The conclusion is Bus is my best deals for now. Based on my research before i started the trip, there are a lot of bus that operated from HCMC to Pnom Penh then change to another vehicle to Siem Reap. I would only recommend Mekong Express and Giant Ibis because these operators have good review from the passenger and well known in the internet. Most important thing! they have a trusted booking site (www.giantibis.com & catmekongexpress.com) which is more safe for tourist. However, other buses are also recommended and the price shall be cheaper than those 2 operator. 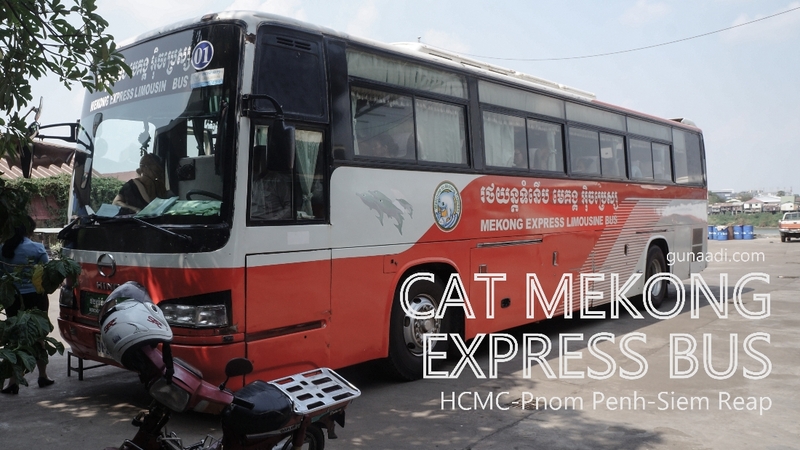 this post will specificly review about Mekong express since that is the bus operator i used. Why did i use Mekong Express? Most passenger is foreigner. it may be a positive or negative for some people. They will make some stops for toilet thing and having several minutes rest during the journey. The bus will make a stop in the border at vietnam side. it is like a huge barrack and i think it is better to be a place for storing artllery than a immgration office. The office is not even one fourth of the building. The bus attendant will collect passport, embarkation card and 1 USD from each passenger then give those to the immigration office. The Passenger must alight and gather at the front of the passport check box. Queuing is not necessary. The officer will call per person as per passport name for stamping and give back the passport to the owner. After that, you must show your passport to another officer for stamp checking. Go back to bus for next immigration. That's all. simple so i like it! After 5 minutes, the bus will stop at the border of cambodia side. Now, the building is better look than in Vietnam. It is a real office building. The bus attendant instructed us to not give any money to anyone and tell that we joined with Mekong Express. I don't know whether the tourist usually is asked for some money there. However, i don't experience it. The immigration procedure is common. Just show your passport and get stamp (make sure you get stamp!) then go back to the bus. They will ask to change the bus to siem reap in Pnom Penh. Do not worry, they will not drop you at the middle of crowded terminal. Mekong express has his own building branch in Pnom penh The building is clean, having a restaurant and free wifi. The arrival time in Siem Reap shall be around 8 -9 PM depend on the traffic. This is the most disampointed thing. The bus is stopped quite far from the city center, maybe around 5 km. However, Tuk tuk driver has been gathered to wait the bus in the bus stop. I think this is the best way to go to the city center. You may walk but it is quite far and the street light is not well provided at night. 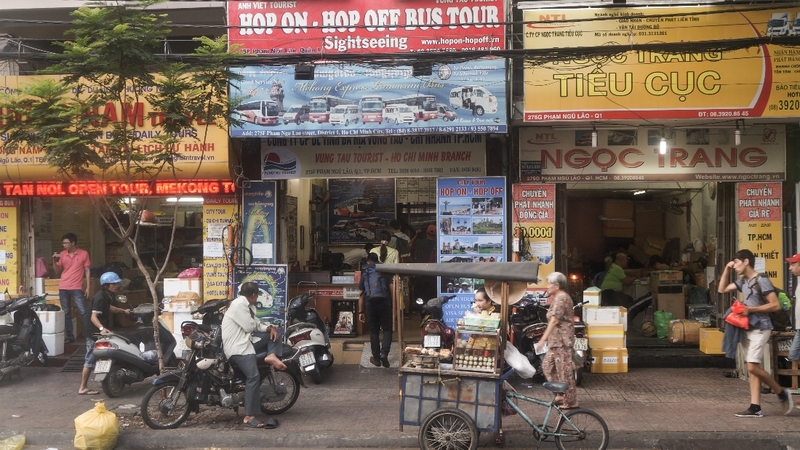 The cost from bus stop to City Center is 4 USD or 1 USD/person (Tuk tuk can accomodate 4 people or maybe more). Usually the driver will also offer his service for the Angkor Wat Tour. the link for day 1 goes to your australia trip. Thank you cheska, will fix it. Thank you for your review! Very informative.